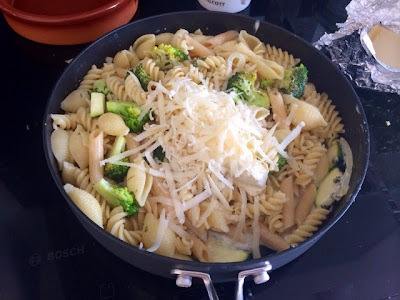 Regular readers of the blog will know how big a fan I am of simple, quick and easy pasta dishes. They make great mid week meals and they’re perfect for knocking up something from nothing when the cupboards are pretty bare. 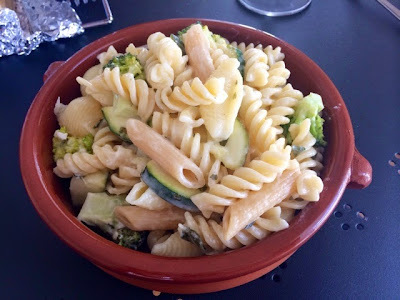 I always use pasta dishes as a great excuse to eat as many different kinds of veg as possible. If it’s in the fridge and it needs using up, it goes in. 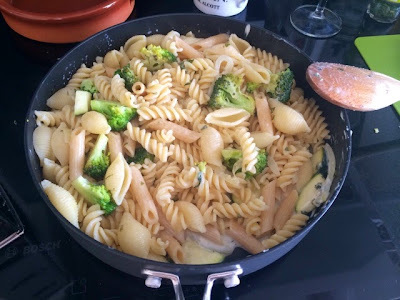 This particular dish is creamy and cheesy so will satisfy those indulgent pasta cravings, whilst at the same time being packed with tonnes of delicious green veg keeping it nice and healthy. You can really use anything you’ve got knocking around in the vegetable drawer, I didn’t have any in when I made this dish but mushrooms go perfectly with this type of cheesy creamy sauce. If you’re not keeping it vegetarian and you’ve got a few rashers of bacon left at the bottom of your packet then slice this up and throw it in for a bit of extra added flavour too. 1. Put the pasta on to boil with a pinch of salt and follow packet instructions for how long to cook. 2. 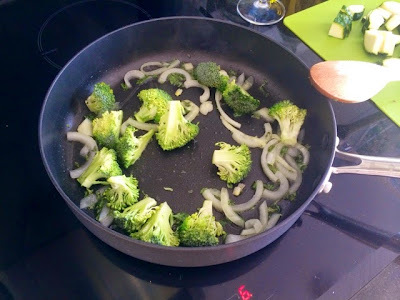 In a frying pan on a medium heat begin to gently fry the onions and broccoli until softened. 3. 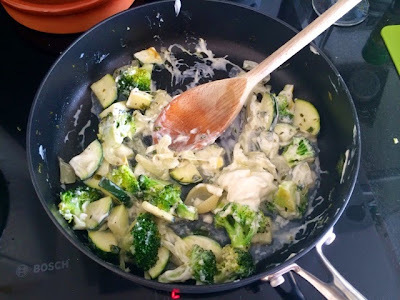 Add the courgettes, garlic and dried herbs and fry for a further 2-3 minutes. 4. 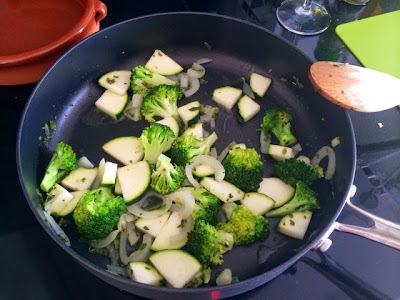 When all of the vegetables are cooked lower the temperature and add the creme fraiche. Mix thoroughly and season well with salt and pepper. 5. 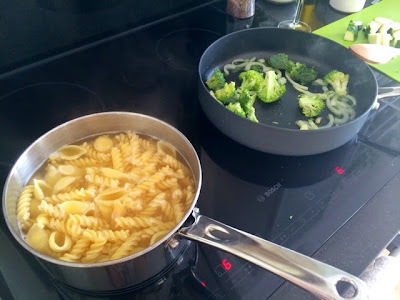 Drain the pasta, reserving half a cup of cooking water. Add the pasta and the water to the vegetable mixture and mix thoroughly, coating the pasta in the sauce. 6. Add the cheese and stir through. 7. Dish up into individual dishes and enjoy.